As much as I love all types of legumes, chickpeas are probably my favorite to which I return time and time again. 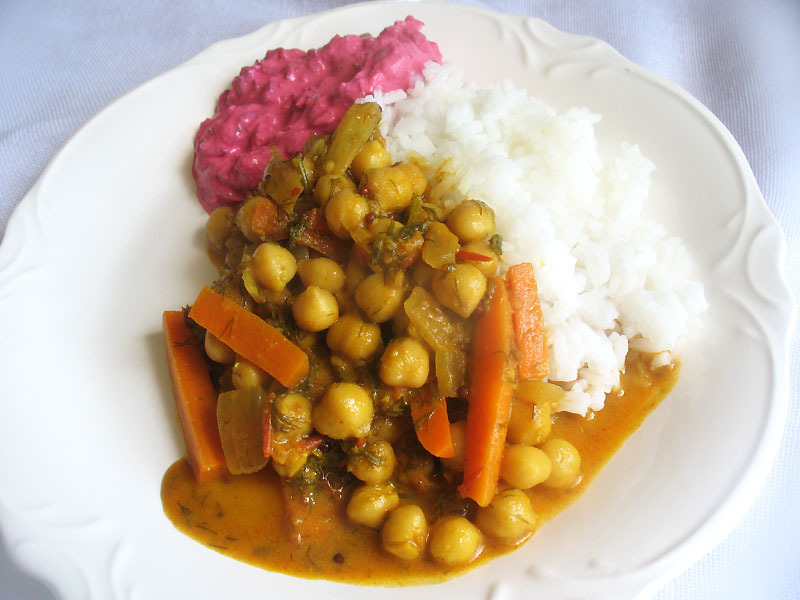 This Indian chickpea curry is especially delectable, as it includes fresh dill, carrot, and a good selection of hot and aromatic spices. 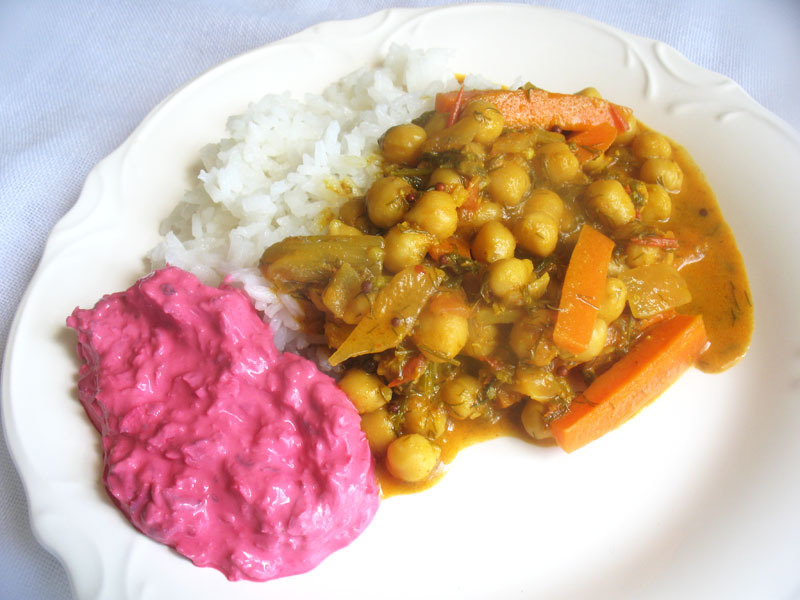 In addition to that, I served it with a fresh, creamy, tangy and colorful beetroot and yogurt raita and some hot fresh cooked white basmati rice. It's not a complicated dish at all and it is nourishing and quite refreshing and satisfying. If you please, you can serve it with Indian flat breads instead of rice. 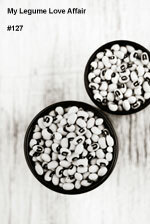 Either way, if you love legumes, you won't be disappointed. Rinse the chickpeas and soak for 8 hours or overnight in several inches of water. Drain and rinse, then transfer to a large saucepan. Cover with fresh water and bring to a boil. Reduce the heat to medium-low, cover, and simmer until the chickpeas are buttery soft — about 1 to 1 1/2 hours. Drain and set aside. While the chickpeas are cooking, prepare the raita. Transfer the grated beet to a small bowl and stir in the yogurt, grated coconut and lime juice. Season with sea salt and fresh cracked black pepper to taste. Refrigerate until serving. Wipe the saucepan dry, add the oil, and heat over medium heat. Toss in the mustard seeds and cumin seeds and stir for 30 to 60 seconds until the mustard seeds turn grey and begin to splutter and pop. Add the onion and stir for 2 to 30 minutes until translucent. Stir in the carrots and cook for another 5 minutes. Add the chilies and ground spices, stir for minute until fragrant, and then add the garlic and ginger and cook for another minute. Add the tomato and cook for 5 minutes. Now stir in the coconut milk, dill, and chickpeas, and bring to a gentle boil. Reduce the heat to medium-low and simmer for another 6 to 8 minutes until the carrot is tender. Remove from heat, stir in the lime juice, and season with salt and pepper to taste. 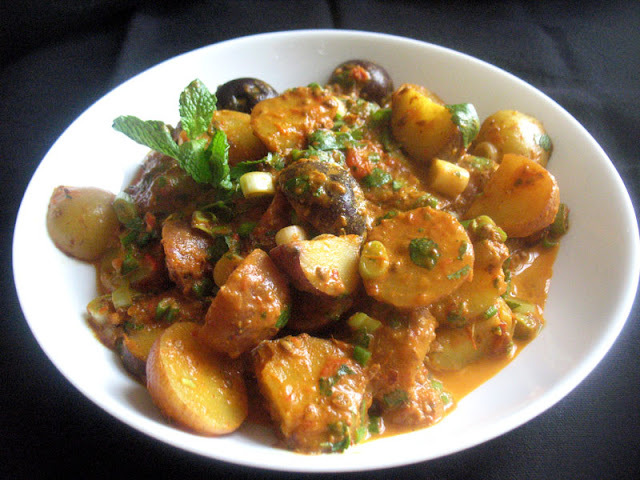 Serve hot with flat breads or over a bed of fresh cooked white rice with a scoop of the raita on the side. So perfect booster after two weeks' flu ! Thank you so much !